Nolan Sousley, a Stage 4 pancreatic cancer patient, say Missouri police searched through his bags looking for marijuana in a hospital room. The video has more than 1 million views combined on Facebook and YouTube. 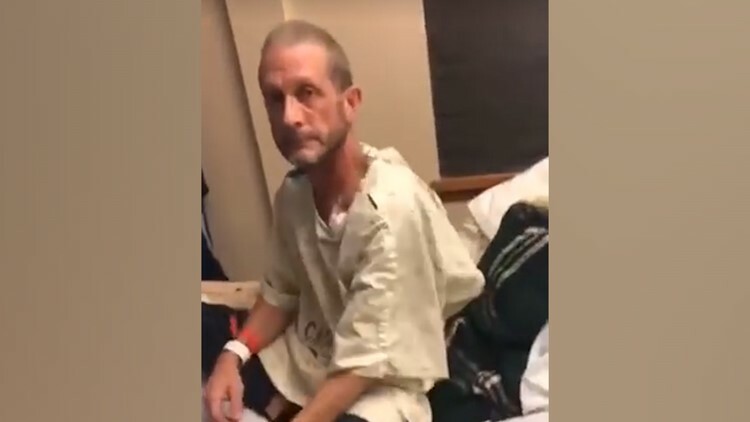 A Missouri cancer patient is at the center of a viral video that shows police searching his hospital room and bags for marijuana. Nolan Sousley said he was diagnosed with stage four pancreatic cancer in June 2018. Earlier this week, he wound up in the hospital at Citizens Memorial in Bolivar, Missouri. In a Facebook live video posted late Wednesday night by his "Tribe of Warriors Against Cancer" page, three Bolivar police officers are seen in the hospital room searching through bags belonging to Sousley and others in the room. In the video, the officers explain they received a call that someone smelled marijuana coming from the room. They also explained multiple times that if they find marijuana they would just be writing up a citation. Sousley can be heard telling the officers he's a cannabis user, but only uses THC oil in pill form. As of late Friday night, the video has more than 450,000 views on Facebook and 650,000 views on YouTube. The Bolivar Police Chief confirmed to the Springfield News-Leader that officers were dispatched after a 911 call from the hospital, but no marijuana was found and no citations were issued. Since the video went viral, Chief Webb said people have been calling the police department and making threats. "I’ve got my staff in tears. People are calling and actually making threats against police," he told the Springfield News-Leader. Sousley, who has since been released from the hospital, explained in another Facebook Live on Thursday night that he's "not going to sit here on this couch and just die. I'm going to stand up for something." In a statement, Sousley's fiancée, Amber, said they are tired of the continued debate about using marijuana for medical purposes. "Nolan is fighting for his life and CBD provides relief for pain as well as stimulation for his appetite," the statement reads. "What Nolan wants out of this is to live and everyone to have the unquestionable right to choose," the statement added. Citizens Memorial Healthcare, the hospital where the search occurred, told the Springfield News-Leader it couldn't comment due to federal privacy laws. However, it said in a statement that its their policy to call authorities when employees suspect illegal drug use in patient rooms or on the hospital's campus.